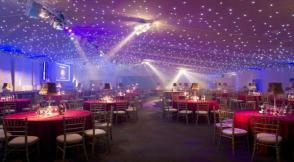 Event magazine have just published the results of their "Top 20 Venues" in the UK poll. 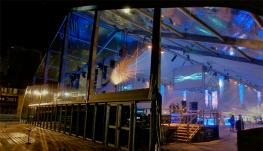 More than 3000 reader's voted and 400 UK venues were nominated. No 1 on the list was The O2. When market leading Events specialist Arena Structures Ltd needed decorative linings for structures used at the World ATB finals and the Brit awards they came to Custom Covers. No 17 on the list is Battersea Power station. When Boiler House operator "Industri" went to Arena Structures needing clear Marquee roofs and decorative linings fit out for the Boiler House structure at Battersea Power station they called Custom Covers. 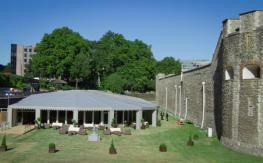 No 20 on the top 20 venues list is the Pavillion at the Tower. When Ultimate Experience needed a company to dress the interior of their cutting edge Pavillion venue in the Moat of the Tower of London; they turned to Industry experts Custom Covers who manufactured the stunning star cloth and entrance fit out. The moral is if you have a top class venue and need PVC covers and decorative marquee linings or interior fit out come to the Company trusted by the UK's best venues.